The Federal Leasing Experts -- Our 34th Year! Vendors: Say YES! to the Federal Government. Government Agencies: Say YES! to government leasing benefits.. The federal government and its various agencies lease hundreds of millions of dollars of essential equipment--hardware, machinery, vehicles, fire apparatus, office furniture, telephone switches, software and tens of thousands of other items every year. Fact: The U.S. Federal Government is by far the single largest purchasing entity in the world. And YES! we can lead you through the process. Automatic Lease Approvals for Federal Government Agencies. No credit application for Federal lease transactions, credit approval is automatic. 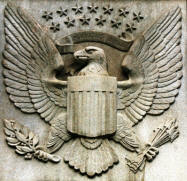 First Capital Equipment Leasing works with federal government agencies as well as vendors selling to federal agencies. We provide a federal lease structure crafted to meet almost any GSA or open-market acquisition requirements. We specialize in "matching" small and medium sized businesses and federal agencies allowing them to work together without the financial red tape and without the risk. Vendors are paid on delivery, no waiting! There are several key differences between Federal and all other government (e.g. state, county or municipal) leases, and Federal leases are quite different from commercial leases. Lets start with the #1 difference with Federal leases: there is no First Capital lease document, as in the municipal or private sectors. The "paperwork" originates with the government's contracting officer, not the leasing company. The government purchase order ("Order For Supplies & Services") is accompanied by a set of "Terms and Conditions" which can be a very detailed set of product and payment specifications and most times is only document describing the transaction. Government lease purchase orders are generally issued directly to the vendor ("prime contractor"). The financial proceeds of each purchase order, as they are issued (see below), are assigned to First Capital, via a routine federal transaction known as a "Assignment of Claims." Our Vendors Are Paid In Full, On Delivery! Federal agencies are funded year-by-year by Congress. By statute, 98% of those agencies can only spend or commit to spending funds from the current year's appropriation. There are of course many situations where it is in the Federal Government's interest to make multi-year commitments (e.g. leases) to spread their acquisition and ownership costs over several budget years. Federal government agencies will issue purchase orders for the current fiscal year AND can make a "good faith" commitment confirming the government agency's intention to issue additional purchase orders, in subsequent fiscal years, in amounts totaling the full amount of lease (i.e.. 36, 48 or 60 months etc). Legally however, the government cannot issue a purchase order for any year other than its current fiscal year. 1) Non-Appropriation. As discussed, government entities will enter into multi-year lease agreements, but cannot guarantee the issuance of any purchase order for any period other than the current budget period. If Congress does not appropriate funds necessary for that Federal agency, one or more of the future purchase orders that together make up the full purchase price--may not be issued. One need look no further than financial fiasco of 2012 to get a sense of the potential risks on this. First Capital's documentation does not include any recourse to the vendor (who has been paid in full), nor is their any legal recourse to the Federal agency. 2) Termination For Convenience. Many Federal agencies request the inclusion "Termination for Convenience" language in the Terms & Conditions of their purchase orders (see below). Simply put, termination language allows the agency the unilateral prerogative to designate the leased products as "no longer essential" to that agency--and to simply "terminate" the issuance of additional purchase orders and to return leased products at the conclusion of the current fiscal year. As with non-appropriation, there is no contractual recourse between First Capital, the vendor or the government under this circumstance. And The Critical "Terms & Conditions"
One on the more important issues for First Capital is whether the Federal agency "intends" to lease to ownership (LTOP), or if the agency is looking to lease with the option to purchase (LWOP). With an LTOP lease it is the government agency's stated "intention" to take ownership of the equipment after the term of the lease and to issue the requisite number of purchase orders over several fiscal periods, to allow for the total number of monthly payments contemplated at the beginning of the lease to all be made, by the end of the lease. We will also entertain an LWOP structure for certain equipment. An LWOP lease may also be structured by the government agency more like a rental with or without a purchase option. LWOP's structured with a purchase option that includes an early buyout provision may be acceptable. An LWOP where the vendor agrees to purchase the equipment (at a mutually pre-agreed to amount) if the government doesn't elect to purchase, may also be acceptable. The vendor may be interested in getting the equipment back--as it may be able to re-condition, re-warranty and remarket the equipment to other customers at a profit if the purchase price is "right" (all subject to negotiation at the outset) LWOP pricing based on our risk of the equipment being returned at the conclusion of in any given year (without an early payoff), would have to be priced at a significantly higher price to accommodate a potentially much smaller contribution to our cost of that equipment. Although we realize that no contracting officer can legally bind his agency into spending funds that have not yet been appropriated by Congress, nor is it our expectation that a project will be re-evaluated each year as a month-to-month or year-to-year "rental" transaction might be. Federal Leasing Is Cash Flow Positive! The collection of funds from the federal agency is our responsibility. We are a "cash flow positive," risk-reducing alternative to a vendor providing trade "terms" to a federal agency! We would be pleased to work directly with the appropriate contracting officers (or with you and the contracting officer, as you see fit) to work through ALL of these details. It can be a very easy process when everyone is pulling in the same direction.